After taking the time to learn to pronounce Wilkes-Barre (wilks-berry or wilks-bear) this morning, we continued down I-81 under a heavy cloud cover. As we returned to the highway after locating a rest area letterbox 15 miles south, the clouds began to ooze rain droplets. 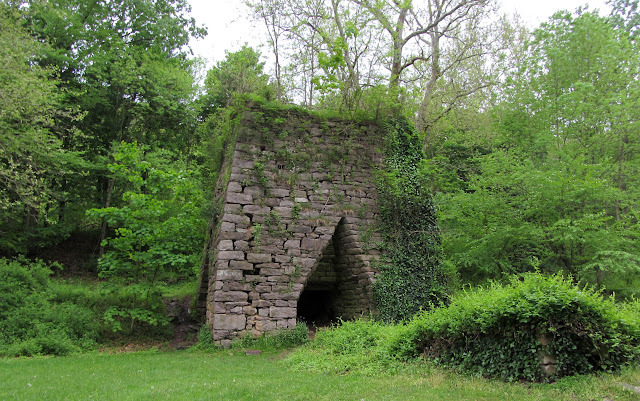 Strangely, we felt the urge to stop at an old iron furnace near Pine Grove, PA. What a coincidence when we found a letterbox there! OK, it wasn't really a coincidence. Shortly after we returned to the interstate, the rain began falling in earnest. We drove in rain south to Harrisburg and then to York. When we reached York, prepared to head west toward Gettysburg, we realized that Lancaster was only 20 miles to the east. With just a little cajoling, I persuaded Ken to take this minor detour for a visit to... Amish Country! 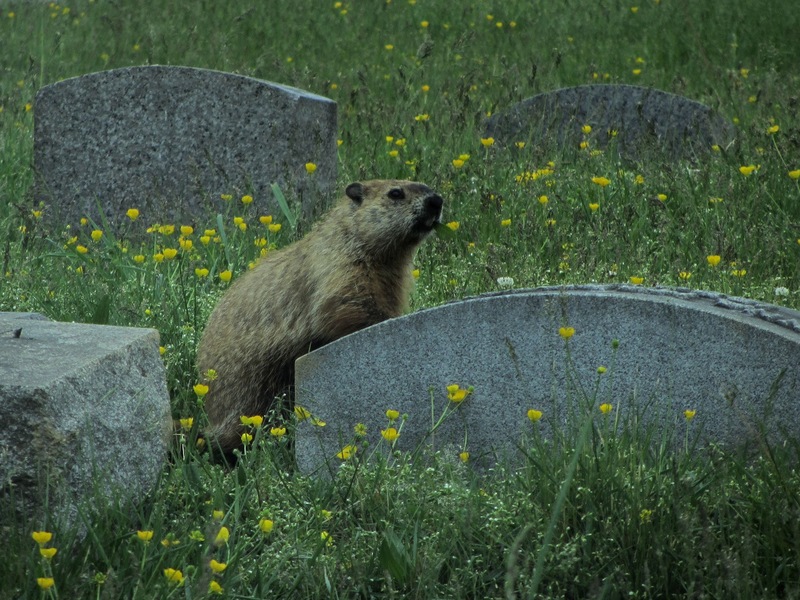 Arriving in the city of Lancaster, our first stop was at Greenwood Cemetery, where Ohio's Safari Man had planted some new letterboxes recently. We located boxes #1 and #2, but box #3 was protected by an ocean of chest-high stinging nettle, which the planter could not have foreseen in February, so we decided not to attempt it. 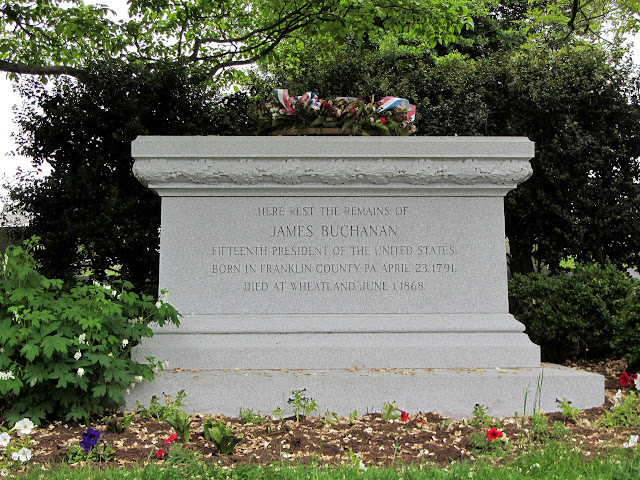 In the meantime, we had discovered that President James Buchanan was buried in the cemetery next to Greenwood, so we headed over to visit him. The only president from Pennsylvania and the only president to remain a lifelong bachelor, Buchanan had the misfortune to be in office when seven Southern states seceded in 1860. As a result of his response (or lack of response) to this growing national crisis near the end of his term in office, Buchanan is routinely judged to be among the least effective U.S. presidents. 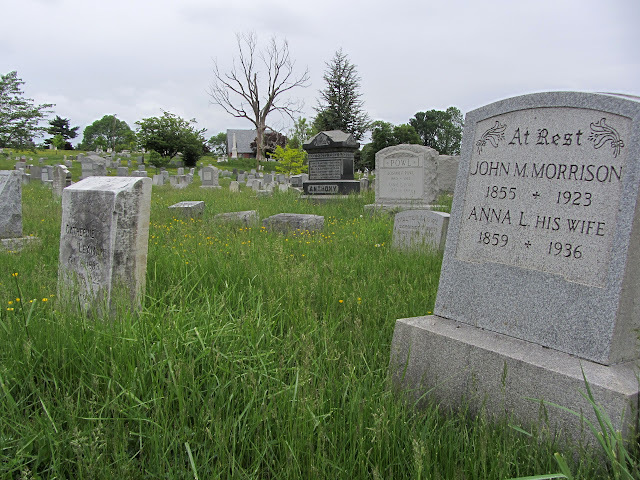 His final resting place in Woodward Hill Cemetery in Lancaster is a humble marker in a neglected graveyard. When we arrived, there was a wreath of dead flowers perched in front of the marker, which a local garden club maintains. Of all the presidential tombstones we have seen on this journey, Buchanan's is certainly the least impressive. 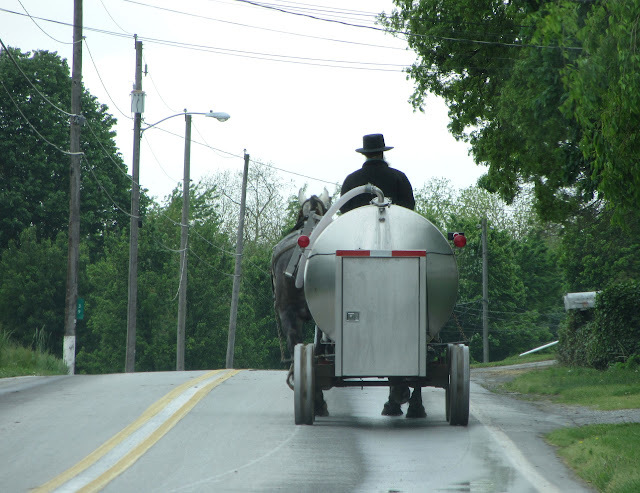 By this time, we had been in Lancaster for a couple of hours and still had not seen any Amish buggies. 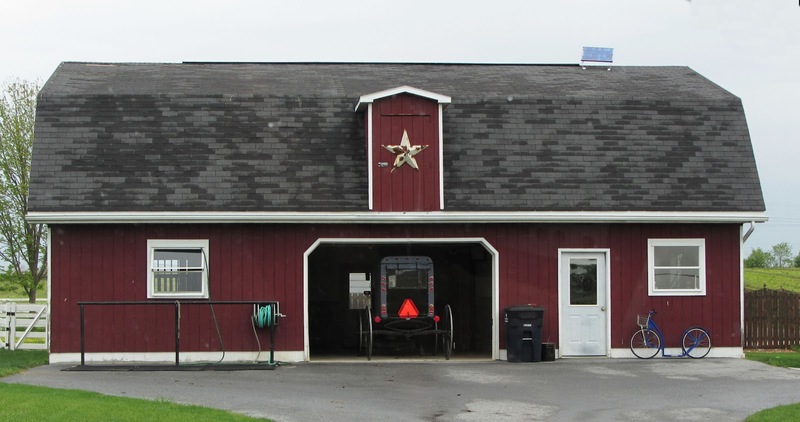 When I pointed this out to Ken—repeatedly, he patiently explained—again—that Amish people are often farmers and probably do not live in a city of 60,000 people like Lancaster. Rather they live in Lancaster County. 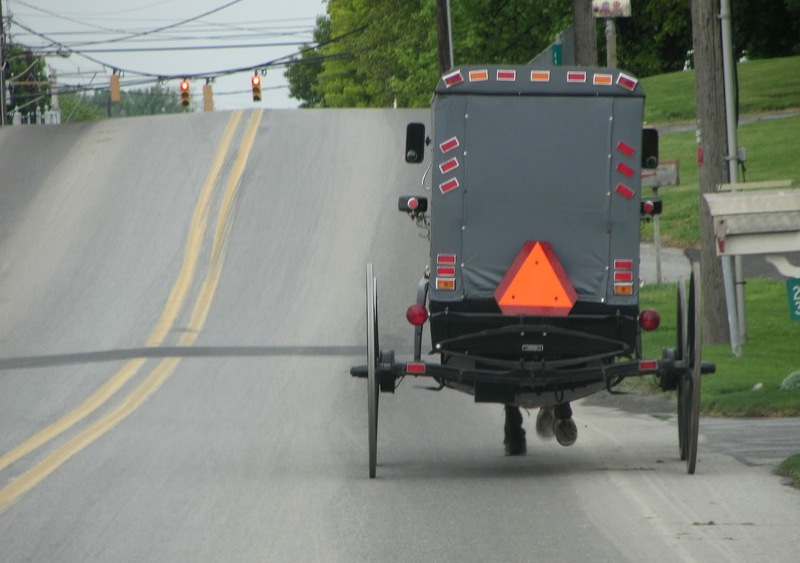 Realizing that I wouldn't stop until I saw someone Amish, Ken decided to drive a bit further east. Bingo! We found Amish country. The whole Amish Country obsession just fascinates me. 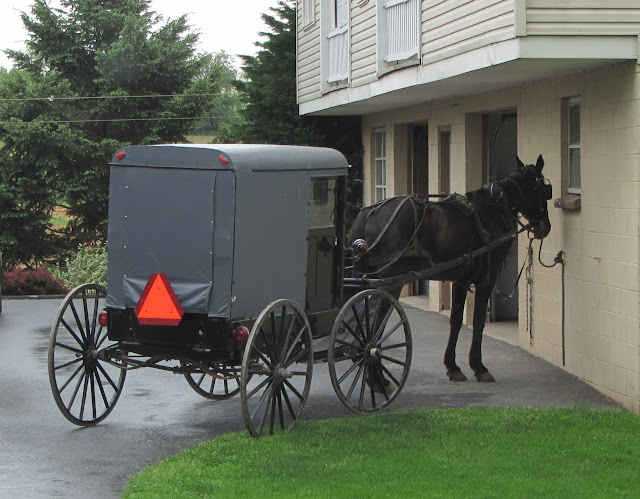 More than seven million tourists flock to Lancaster County, PA, each year to gawk at 22,000 Amish residents as they go about their daily lives. Two questions immediately come to mind. 1. 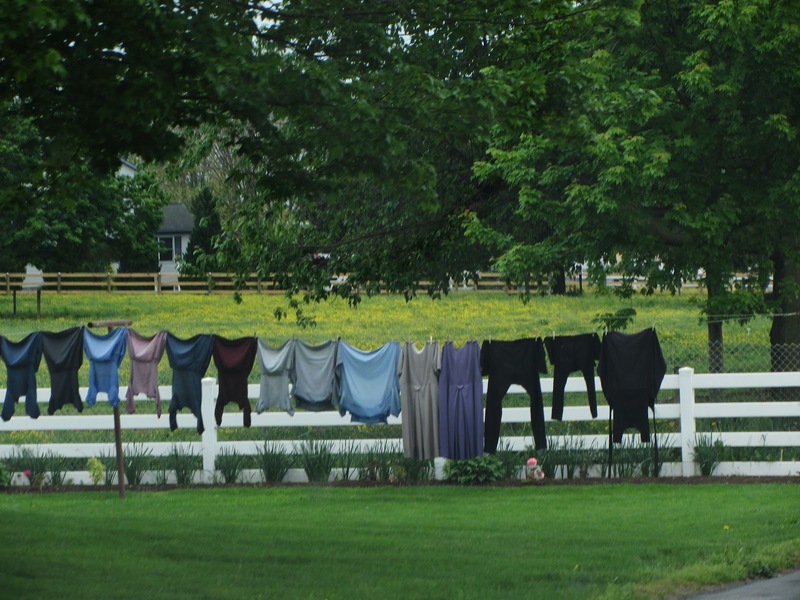 Why are we non-Amish so obsessed with staring at these simple living, plain dressing folk? 2. Why are these simple living, plain dressing folk willing to be the objects of such overblown curiosity? A bit of research turned up some useful information. 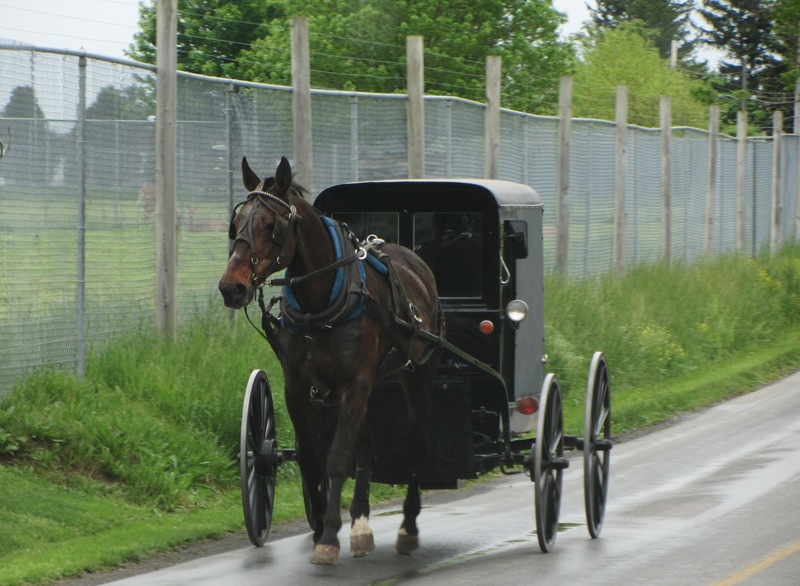 Apparently, while the non-Amish locals (including Mennonites) have learned to capitalize on the general public's fascination with the Amish way of life, the simple living folk themselves do not engage in the tourist enterprise. 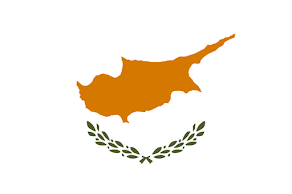 They do, however, produce quilts and other crafts which are sold to tourists in shops owned by other locals. And make no mistake. 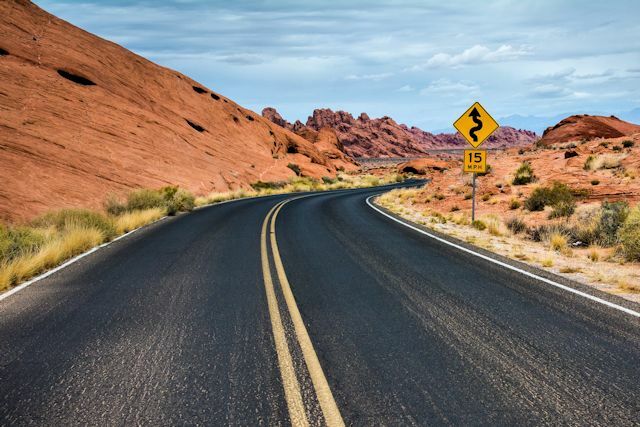 This is an area that caters to the tourist trade, from B&Bs to themed amusement parks (Dutch Wonderland) to countless gift shops (e.g., Amish Stuff, etc. ), where you can purchase salt and pepper shakers that look like an Amish couple with spices sprinkling out of their heads. Don't get me wrong. I'm not criticizing the 7 million. I found myself caught up in Amish stalking, too. "Follow that buggy!" I exclaimed over and over, until finally Ken suggested that there might be a twelve-step program that could help me. "Hi. My name is Dianne and I'm an Amish stalker."